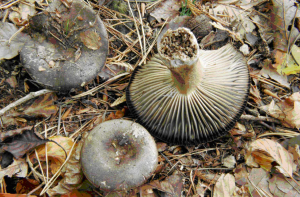 Identification of dried (winter found) fungi by Alan Bunn (Newsletter 65). gills widely spaced. Flesh goes pink when exposed after 5-10 minutes. goes pink when exposed after 5-10 minutes. forays. 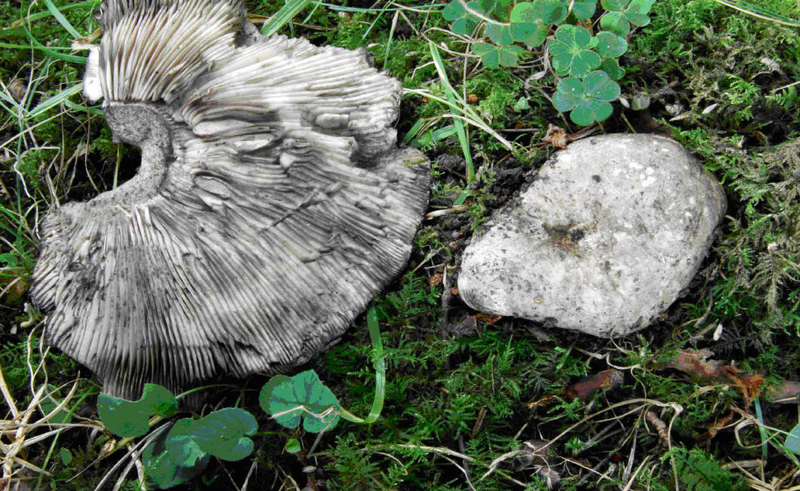 They are Russula nigricans and Russula densifolia . 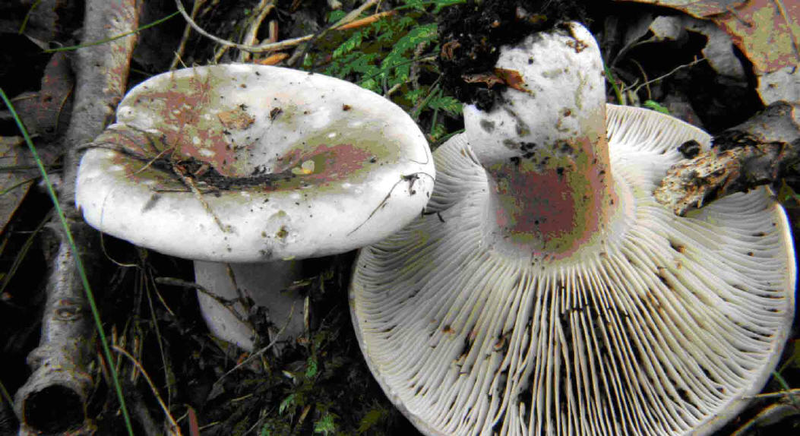 It is assumed that the Genus Russula as a whole can be recognised by the mycologist.